Probably just about every visitor to Edinburgh has made a stop by the Royal Mile. This long series of streets stretching from the Edinburgh Castle to Holyrood Palace cuts through the city center, and it’s pretty much impossible to avoid. It does indeed run an entire mile, although this is an old Scots mile – that’s slightly longer than the mile you’re used to. (I’ll throw that perhaps-unknown fact in for free). It’s thought to be the oldest street in Edinburgh, so you might think that it couldn’t still hold any secrets after all this time. While I’m no expert on the Royal Mile (try these well-informed people instead), that there are a bunch of things on the Royal Mile you probably didn’t know about. (I found out about them thanks to the Edinburgh Historical Walking Tour with Viator). 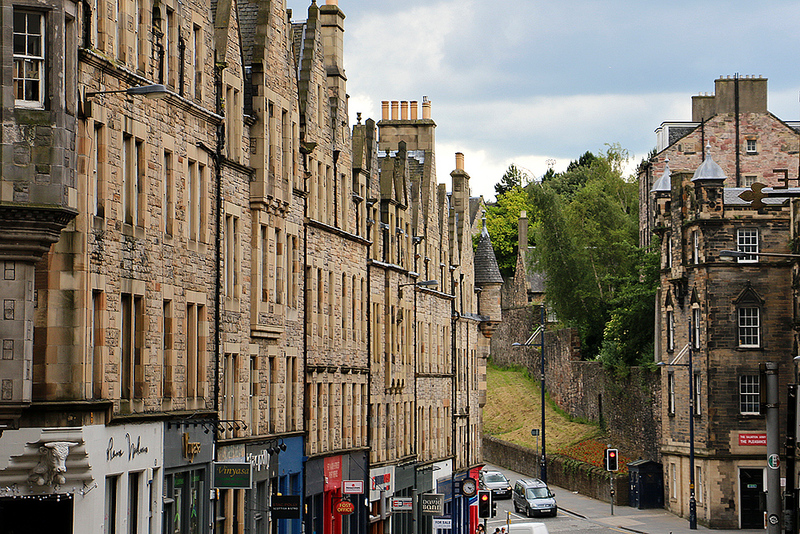 So, without further ado, here are 10 things you didn’t know about Edinburgh’s Royal Mile. 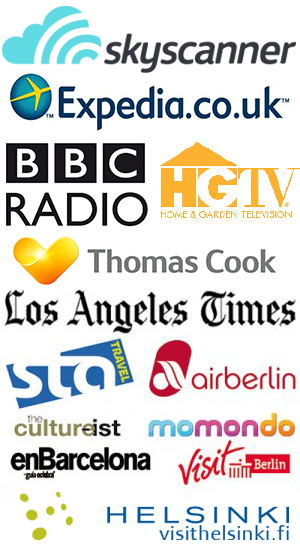 Well, that you probably didn’t know – I’ll leave myself some room in case you did know some of these. 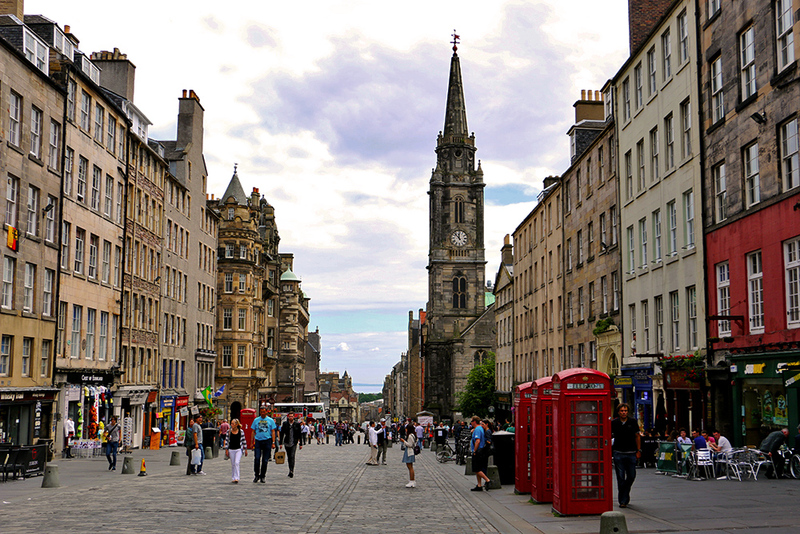 1) The Royal Mile is basically built on top of a volcano. 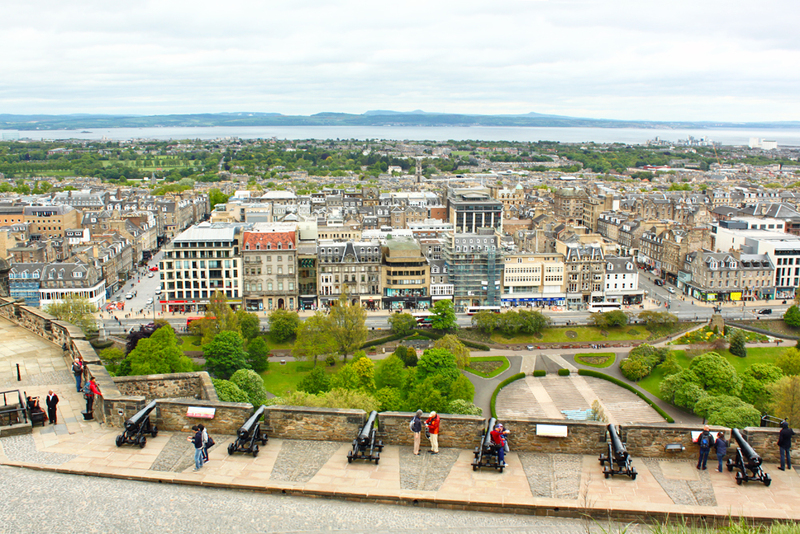 The rocky hillside Edinburgh Castle is perched on today used to be an active volcano! Well, a volcanic plug, anyway. What’s a volcanic plug, you might be asking? (I know you are asking this because I myself had to consult Wikipedia before continuing this paragraph). It’s just the thing that’s created when the magma inside a volcano starts hardening and ‘plugs’ the volcano. So, er, exactly what it sounds like then. The rest of the Mile is made up of the volcanic rock. A glacier passed over the area and eroded some of the land. But because volcanic rock is really hard, a glacier can’t destroy it. It gets left behind while softer stuff is obliterated, resulting in a rocky section that sticks out. That sticky-out bit is the Royal Mile today, which slopes from the castle to the palace. TLDR: It is built on top of a VOLCANO. 2) St. Giles’ Cathedral has only been deemed a cathedral in the last few years…as a shameless bid to get more tourists to visit. You might think that something being a Cathedral would mean it’s been important for centuries, is exceptionally beautiful, and is definitely something you must see if you’re visiting the city. (Or not, this is just a suggestion). Well, that’s exactly what they WANT you to think about cathedrals in Edinburgh. St. Giles’ Cathedral has only recently been termed a ‘cathedral’ in a shameless attempt to attract more tourists. It was very briefly a cathedral for about 30 years in the 1600s, but apart from that it’s not really a cathedral at all. The proper title would be the High Kirk of Edinburgh (‘kirk’ being a Scottish phonetic pronunciation of ‘church’). 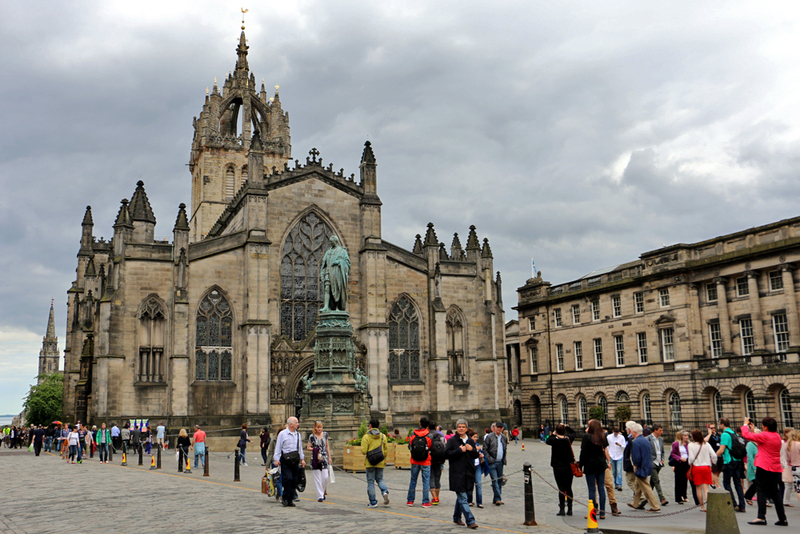 To compromise, its full name is St. Giles’ Cathedral High Kirk of Edinburgh. 3) Those charming little narrow streets running down off the Royal Mile (called ‘closes’) used to be some of the dirtiest streets in the city. Yup, those adorable streets visitors to Edinburgh love today used to be a place you definitely did NOT want to walk. That’s because all the people living on the street would fling out bucketfuls of household waste onto the street below. If you were an unlucky pedestrian, you got the contents of a toilet tipped onto your head as you were out for a stroll, already ankle-deep in sewage. That’s why people started shouting “gardy-loo” as they threw out their trash. Like “church” becoming “kirk”, this is another mispronunciation. This time, it’s a French term – “Gare à l”eau”, which means “watch out for the water” (only of course, much more than water was tipped out the windows). 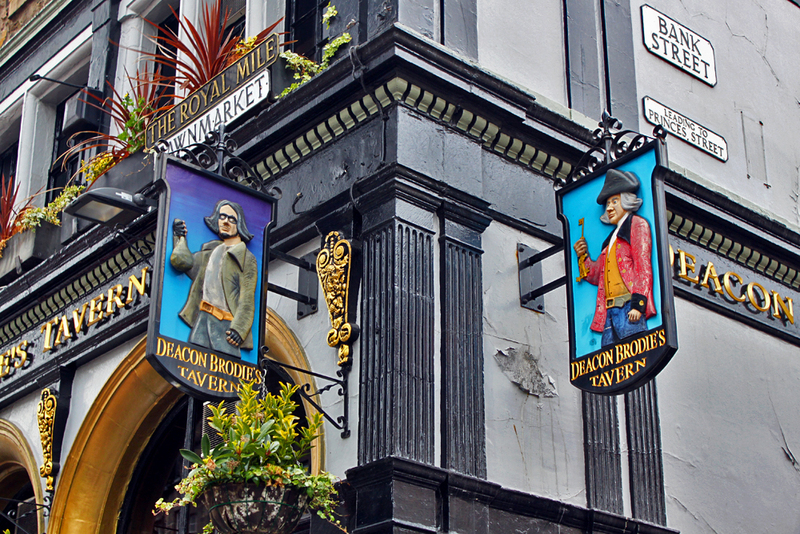 4) Speaking of cute places that aren’t as nice as they look, picturesque pub Deacon Brodie’s is named after the real-life inspiration for Jekyll and Hyde. This pub has four things going for it that make it irresistible to snap-happy tourists: it’s strikingly black and white, it’s got lots of colorful flowers hung up, it has a very cool pub sign, and there are three extra-British red telephone boxes sitting outside. But pretty appearances beside, it gets its name from one of Edinburgh’s most notorious characters. William Brodie was the deacon of an engineering guild. During the day, he was a respected man (like Dr. Jekyll), but at night his wild side came out – he partied, gambled, and had lots of mistresses (hello, Mr. Hyde!). Brodie came up with a clever way to rob rich people’s homes that involved making copies of their keys and letting himself in while they were away. He got away with it for ten months before he was caught and hanged. The place where the pub is today is where his offices used to be. 5) You can legally spit on one particular part of the Royal Mile. 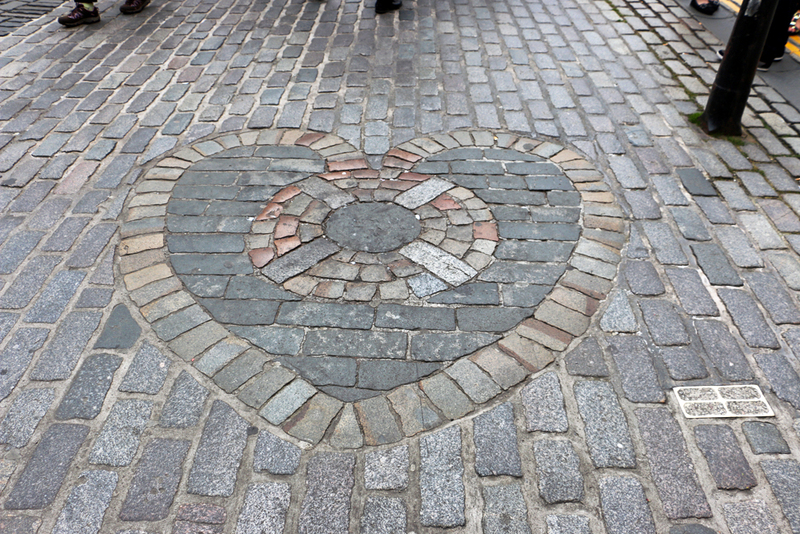 This is the Heart of Midlothian, and it marks the site of the Old Tolbooth from the 15th century. This used to be the administrative center, prison, and public execution site (so a nice and happy history, then). As criminals were released from being imprisoned, they would make sure to leave their mark on the place by spitting on the doorstep. Today, people spit on it for good luck, and you won’t get in trouble with the police for spitting there. (Although you might in other parts of the city if they catch you). 6) If you’re lucky, you’ll be able to see a statue of a horse that appears to be urinating. Parliament Square is done in the grand style of the ancient Romans. The biggest statue here is a 17th-century statue of Charles II based on Marcus Aurelius riding a horse. A rather chubby horse, it must be said. That’s because the horse’s tum is a vacuum to stop water leaking out of the statue. It just doesn’t always work, and there’s a hole in it. If you’re lucky, after a big rainy bout the horse will appear to be urinating. Naturally, it’s received complaints over the years from fancy people like the Women’s Guild, but the official response is that as this is a royal statue, they won’t be touching it. (I did not, unfortunately, get to see it in action). 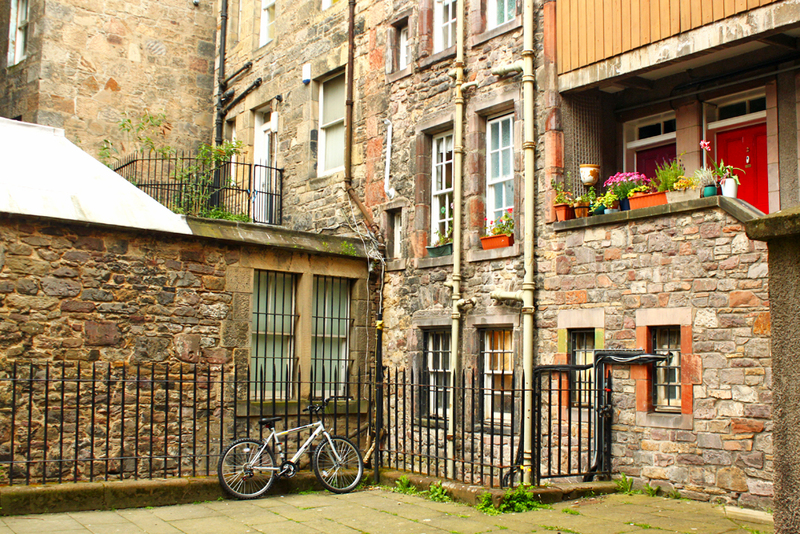 Riddle’s Court consists of an inner and outer courtyard right off the Royal Mile. These places were way nicer to live than the narrow closes, and so were in high demand. Some of the lucky residents were schoolboys. One day, there was a public holiday. Everybody got the day off – except the schoolboys, who, of course, were understandably a little put out by this news. In protest, they barricaded themselves in their rooms and refused to come out. Things got so out of hand that the militia was sent in. As they approached, one of the schoolboys pointed a rifle out the window, shot, and killed a soldier. But this wasn’t just any schoolboy; he was a lord’s nephew, so it was covered up. Unfortunately for them, the London papers got wind of the situation and wrote an exposé saying you could get away with murder if you were in Scotland – and get off “Scot-free”. Did the boys end up going to school anyway? Nobody knows! 8) One of Scotland’s great minds is buried on the Royal Mile…underneath a car park. Occasionally, archaeologists will discover a famous body buried deep underneath a city in a car park or random street. And often, they stop what they’re building and dig up the body. Not in Edinburgh. 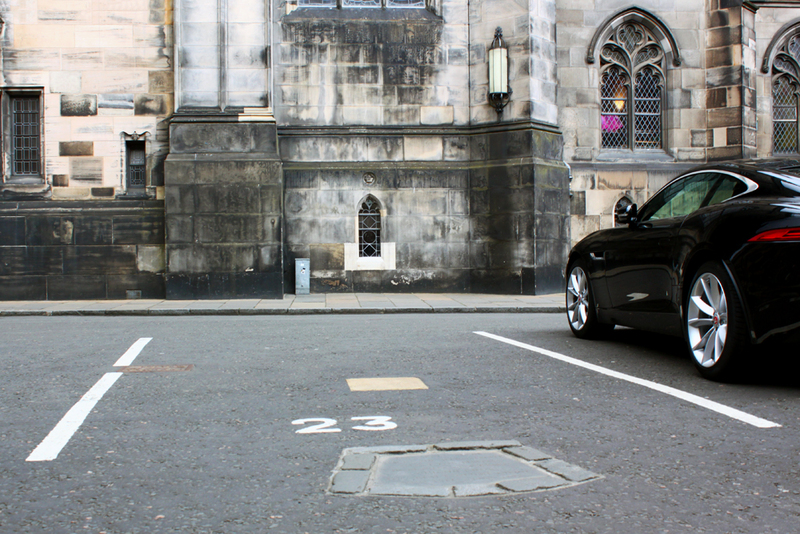 Famous Scottish Reformationist John Knox is buried right under parking space #23 in the parking lot in Parliament Square. There’s a small gold plaque to commemorate it. This space is, not surprisingly, often covered by a car. So they’ve added a second plaque explaining what it is just outside of the parking space that you can see even if a car is parked there. 9) The lower end of the Royal Mile used to be so dangerous it was thought of as the World’s End. 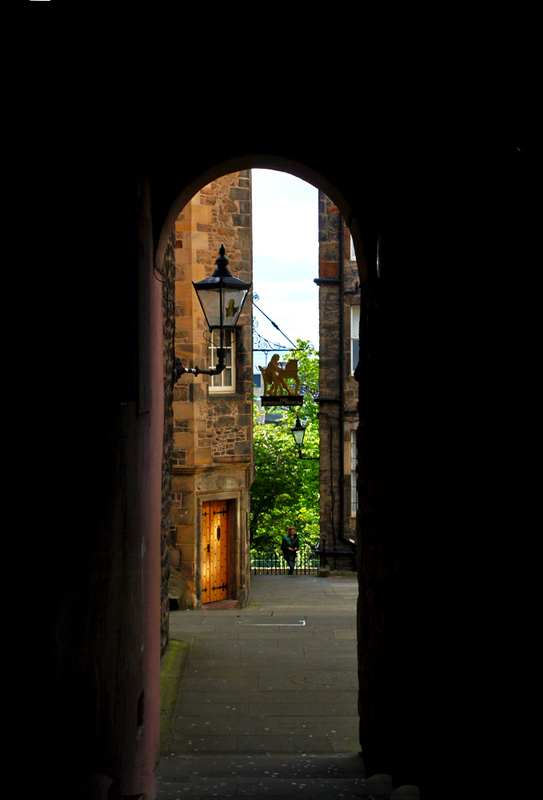 As you follow the Royal Mile’s slope downwards, you’ll start heading towards what used to be consider the World’s End. This was the area outside the city wall (the rather silly sounding Flodden’s Wall), which was a den of thieves and other nasty people you didn’t want to come across late at night. The Holyrood Palace was on the other side of this sketchy area. But they didn’t purposely put the palace somewhere ‘up and coming’, as we might optimistically term it today – Holyrood was unoccupied for a good long time starting in the early 16th century. Today, you’ll know you’re in the right place when you see World’s End Close and the navy blue pub called The World’s End. Subtle. 10) There’s a statue of William Wallace (a.k.a Braveheart) at the entrance to Edinburgh Castle, even though he probably never even came to Edinburgh. Ever. Actually, kidding – this has nothing to do with the historically inaccurate movie. It’s because the Victorians took it upon themselves to redesign the entrance to Edinburgh Castle. They were big fans of statues, so they added ones of two great Scots, William Wallace and Robert the Bruce. It didn’t really seem to matter to them that William Wallace had probably never been to Edinburgh in his whole live. Who needs history when you have shiny statues? 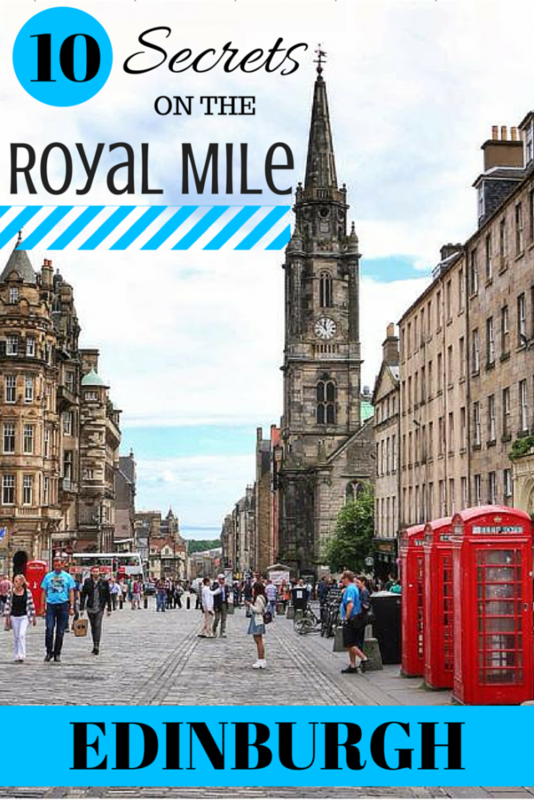 Did you know about any of these Royal Mile Secrets? Which one of these surprised you the most? I was a guest on the Edinburgh Historical Walking Tour with Viator. This is a 90-minute walking tour of Edinburgh, with the option to visit Edinburgh Castle afterwards as well. All my opinions are honest (as always!). Actually what they were probably imitating in French was “Gare à l”eau!” which does mean “Watch out for the water!” Gardez l’eau means keep the water, I’m pretty sure people did not want to keep that water haha! But that may explain why people in the UK use loo for bathroom?? They’re mispronouncing eau? That never occurred to me before! But they have a habit of stealing French words like queue, courgette and aubergine. I knew the expression to get off scot free but I had no idea of the origins which was interesting! I remember reading somewhere about a controversial William Wallace statue near Stirling Castle because it looked like Mel Gibson or something. I think they finally had to get rid of it because people kept defacing it! Cool post! I’ve been to Edinburgh before but there were some things I didn’t know. Haha oh thanks for the correction, can you tell I don’t speak French? I even looked this one up in a book! I’d been to Edinburgh a handful of times before but didn’t know many of these at all. It was a really interesting tour! I love all of these interesting little facts you find out on walking tours, things you have no idea about if you just passed them in the street. I like the one about the urinating horse! Me too, I’ve actually grown to really like walking tours! And yeah, the horse one was one of my favorite parts too, and I wish I’d seen it in action haha. Fascinating stuff that I completely missed on my high school trip here back in 2008. Edinburgh is such an interesting city! Edinburgh is really, really awesome – I’ve been about half a dozen times now and I like it more every time I go. Isn’t it funny how formerly dirty and dangerous areas are now some of the highest-rent districts? Georgetown, in Washington DC, was once equally as squalid. It’s crazy to think about. And I love the Scot-free explanation! Yeah, it’s so weird how neighborhoods evolve over time. I can’t believe Georgetown used to be squalid! That seems unbelievable looking at it today haha. My great grandparents lived on Lochend Close before coming to the U.S. I could tell by a picture that it looked like an apartment, but never knew how awful it must have been to live there, with waste coming out into the alleys. No wonder the crossed the pond to Ontario, and then to Ohio! Thanks for the informative post. Amazing post! I lived in Edinburgh for a year and is my favorite city. I knew some of the facts you mentioned but not all. Thanks for sharing! Edinburgh is definitely one of my favorites now! I’d love to be able to live there for a bit. Interesting fact! I love Edinburgh …. Me too, it’s one of my favorite places! Very interesting secrets! Had fun reading through all of it! These facts are pretty interesting! Learned some new stuff! 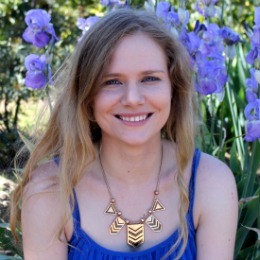 A really well written and informative blog! I had no idea about any of these little facts. Next time I’m back in the UK i’ll be on the first train to Edinburgh to follow in your footsteps! Thank you, Matt! You should definitely visit Edinburgh, it’s such a fantastic city. Cool post. I knew of a few of those after a couple of trips to Edinburgh. Some of these I had no idea even though passed them a few times. Looks like another trip up that way is in order. Hopefully with better weather this time round. 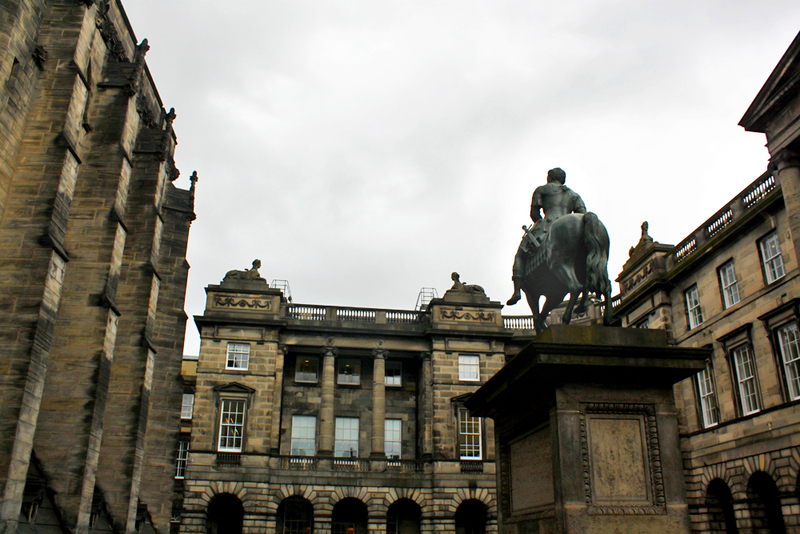 Another unique item in Edinburgh on the Royal Mile is the statue of Alexander the Great taming Bucephalus located at the City Chambers. The artist put pigs ears on the horse because the council ran out of money to pay him for the statue. It’s said it took them 50 years to complete payment. Thanks, Madi! 🙂 I’m glad you enjoyed it! Also the city wall being called the Flodden Wall is because it was built as a result of the devastating battle of Flodden, in which many Scots were killed. William Wallace wasn’t actually “Braveheart” (one of the many historical inaccuracies of the movie). The so-called “Braveheart” was Robert the Bruce. You do a great disservice to St Giles’ Cathedral, which has retained and used that name for *centuries* – a few minutes in an online archive would confirm that. In a country with as complex a religious history of as Scotland, it’s very common for church building to retain names which reflect previous functions, and there are other ‘cathedrals’ (eg St Machar’s Aberdeen, Dunblane, Glasgow) as part of this tradition, among others. Hello Sue! Thanks for your information – I’ll take a deeper look into the naming, and I appreciate your comment. The information here is from the tour I took and the guide told us (and is supposed to be a reputable tour). Kirk is not a mispronunciation. It’s the proper Scottish word for church in Lallans (or Doric), the Lowland Scots language which is related to, but not the same as, English.